One of the best ways to ensure proper sleep is by assessing your bedroom! After all, this is your sanctuary, and even the smallest aspects can make or break your quality of sleep. However, what are ways to keep your bedroom conducive to sleeping while maintaining a beautiful design? Is It The Feng Shui? There are many tips to try out! After all, design and style if all up to you, and with the many possibilities out there, you will be able to fix your bedroom to have it look amazing for the sound sleep you deserve. Wondering how? Read on as I show you the seven ways to design a good bedroom for sleep! When you enter a room, I'm sure your nose would scrunch up in disgust f it's messy! When you're about to sleep, your mind will begin to look around the environment, reflecting how it looks like. So an organised room will mean an organised mind, while a messy room says otherwise. To lessen the stress of looking at mess and chaos, start by removing the clutter and keeping the room neat and tidy. By making your bedroom in the morning and creating a system for where to put your items, you'll be able to keep a calm mind when sleeping. The light in your room is one of the vital factors as to why you may be sleeping erratically. Your brain reads light to know what time it is, and if it's ready to relax. Take note that bright white lights and blue tints would tell the brain it's day. Low and warm lights would send your mind signals that it's time to sleep. Also, when you're ready to sleep, it's best to make the room as dark as possible. If you can't switch off the lights or relax throughout the day, then use dark curtains and sleep masks. 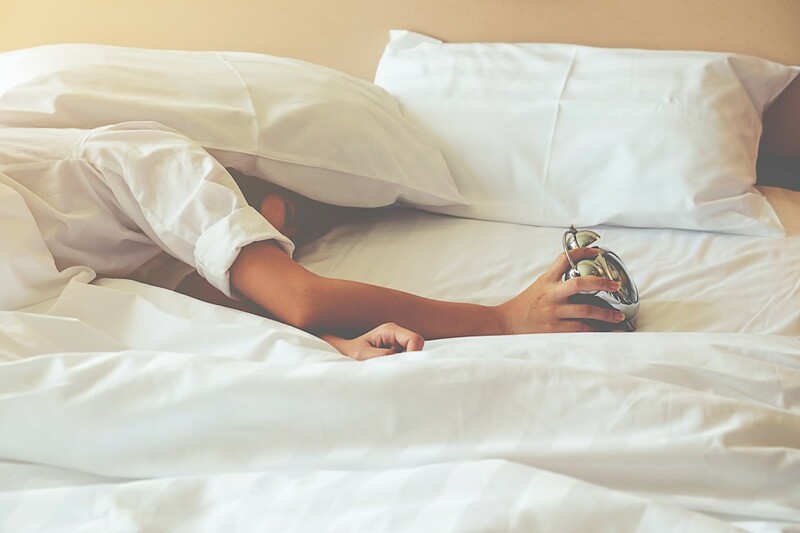 If you are still tossing and turning all night, then chances are it's time to get the best mattress and replace your old one. Your pillows, bed, and beddings are incredibly crucial in providing optimum sleep. That's why it's imperative to replace your mattress every few years and ensure that you have something that's soft enough for a comfortable rest but with enough support to lessen any pain in the morning. Are you planning on painting your walls a different colour? Then make sure that you choose the calming hues and tones, which can induce sleep. I recommend that you go for blue walls, or yellow and green. Avoid stimulating colours like purple, or dark neutrals like brown, or grey. Also, opt to add some aromatic scents in your room, which can enhance your sleep through its relaxing properties. From washing your bedding regularly down to using an oil diffuser with essential oils, you'll be able to calm the mind. Yes, temperature plays a significant role in your sleep as well! While you shouldn't make it freezing in the room, you also shouldn't be suffering from night sweats as well. The optimum temperature is about 65 degrees F, though this can vary from person to person. You can start with this temperature and see what works best for you. This may seem weird as there's no science or proof which supports fang Shui, but you never know! There are specific guidelines to follow to ensure that your bedroom structure will promote better slumber. You can search up these particular guidelines online or have someone visit your home for inspection. No one can sleep with booming sounds and loud songs! That's why you might want to consider getting a white noise machine, which cancels out any noise and helps you sleep. Other sounds you can play are nature sounds, classical music, or even ASMR, which is known to calm you down for quality sleep. And there you have it! With the right tips on how to design your bedroom, you won't only have a beautiful room to stay in, but a comfortable area where you can be quiet and sleep better. The best part is that it's so easy to do! I hope that this article on the seven ways to design a suitable bedroom for sleep. Use this as a starting point if you're planning to give your whole bedroom a makeover today! If you have any questions or want to share your tips and experiences on designing your bedroom, then comment below. Your thoughts are much appreciated.